As we all know, humans are considered the most intelligent species on this planet, and no other species has actually debated the self-proclaimed smartness of humans that we know of. But, visualize a world where humans create programs and machines that are as good of analysts and decision-makers as themselves; yes, self-created competitors. If you think that this will be a thing of a far-fetched future, then I will have to ask you to take out your smart phone and say “hi” to your virtual assistant (Siri or Google Assistant) and the response which you will get in return is a live example of man-made human intelligence or you may call it “Artificial Intelligence (AI)”. Now let us assume you are a shopkeeper running a small shop in a hyper-competitive supermarket, how would you feel if a program/machine predicts exactly what a customer is going to ask for or what best thing you can offer to the customer by observing their behavior. Sounds good for the business, right? Well to make you a bit more aware of this topic, let us discuss 10 current and stupendous examples where AI is actually helping retailers in growing their businesses. This UK’s largest food retailer with 491 stores has improved its supply chain and demand planning with the help of AI. To achieve this, they partnered with Blue Yonder, a company leading in the area of AI and Machine Learning innovation. 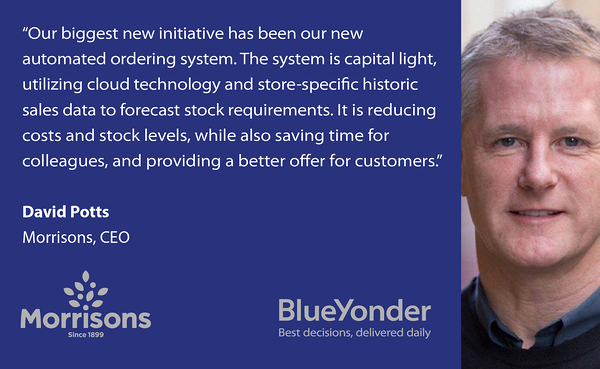 Blue Yonder’s Replenishment Optimization technology not only predicts the orders per day/per store, but also optimizes the demand to product level on the basis of seasonality, weather, demand patterns, marketing, and promotions. This technology takes approximately 13 million decisions every day, and as as it moves forward the machine learning will make the algorithms more accurate and efficient. It has already improved shelf gaps by up to 30 percent and has reduced in-store inventory by 2-3 days. This helps the business by saving money as well as improving customer experience. We all feel special when things are personalized for us. The US retail chain is also aware of this fact and hence, they have introduced a smart-shelf technology in their stores. 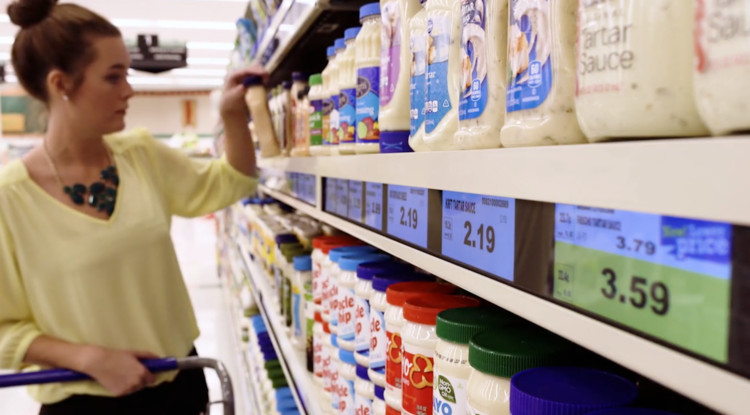 When a customer visits a smart shelf with Kroger’s app open in her phone, the sensors automatically recognize her and display the products in which she may be interested in based upon her past shopping patterns. Pricing, quality and other requirements are kept in mind by the algorithm before displaying the items. This gives a delightful and time-saving experience to the customer. If you are a seller and you offer your items on retail aggregators like Amazon, Flipkart, eBay etc. then how much time do you spend in categorizing your products, adding a description and deciding their price? A lot, right? Well, Lalafo has come up with a solution for this with their AI-powered image recognition technology. With the help of this technology, you just have to click and upload the picture of an item which you want to sell and the rest of the work, like product categorization and a description of the product, will be done by Lalafo. They also suggest a suitable price. Apparently, Lalafo already receives 1000 requests per second for such sales. 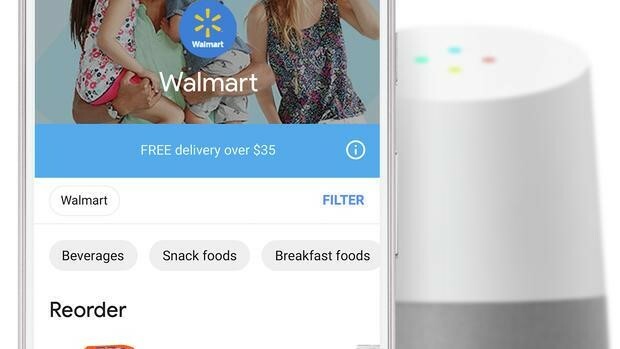 Google and Walmart are already in a partnership to promote voice-based shopping. 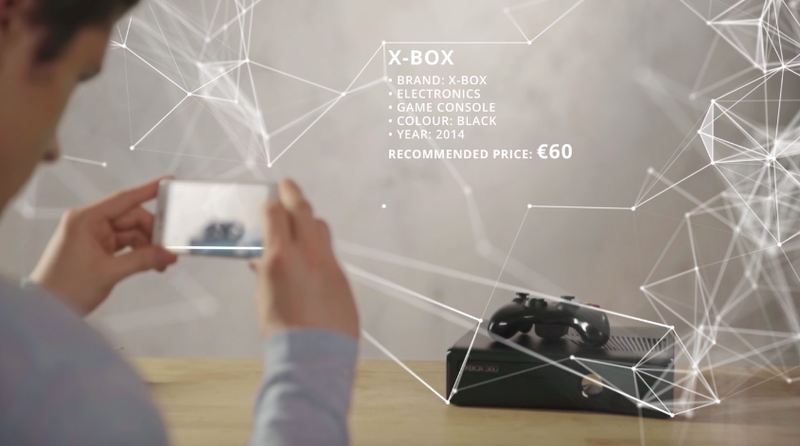 What exactly is voice-based shopping? How would you feel if you just have to say “ok google”, “order peanut butter” and within minutes a new jar of peanut butter of the exact brand and size is delivered at your doorstep that you wanted from the nearest Walmart store? This is voice-based shopping. Not only Walmart, companies like Costco, H&M and The Home Depot are also using Google Assistant to increase their sales and customer delight. Remember that super stylish bag that your cousin was carrying last week? You want it for your yellow dress but can’t find it? And is it too hard to explain the exact color, texture, and shine to a salesman? Don’t worry! AI is happy to help. 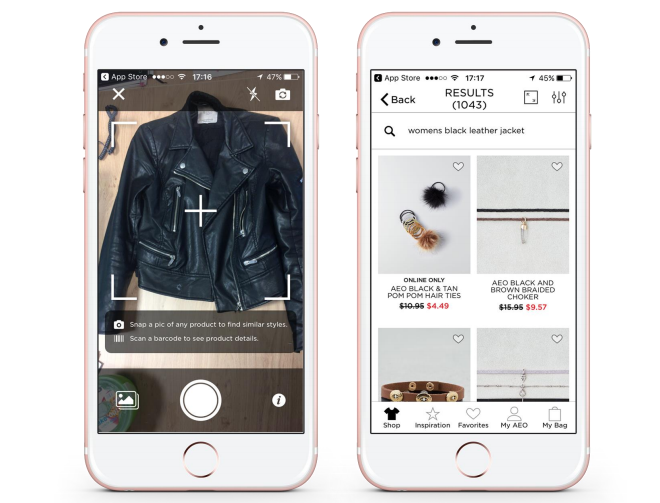 The clothing company American Eagle Outfitters have a visual search feature in their app which gives results up to 95 percent accuracy. The most you have to do is click a picture of the dress and tap on search. The app will show you the desired results with the best suggestions that would go best with that dress. A Canadian tech start-up has come up with a technology called “virtual fitting rooms” with the help of AI-powered kiosks set up in the malls. 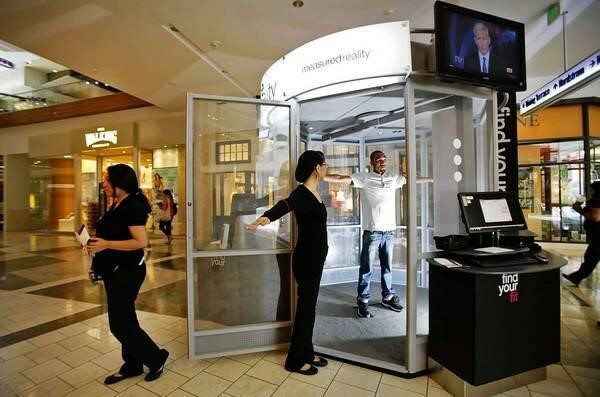 These kiosks scan 200,000 points on the customer’s body and recommend the best clothing with accurate shape and size. The display shows how the clothing will fit on the body in 20 seconds and helps the customer in deciding whether to buy that dress or not. Brands like GAP, Levi’s Brook Brothers etc. are already promoting this technology so that customers can be directed to most suitable stores by this kiosk. 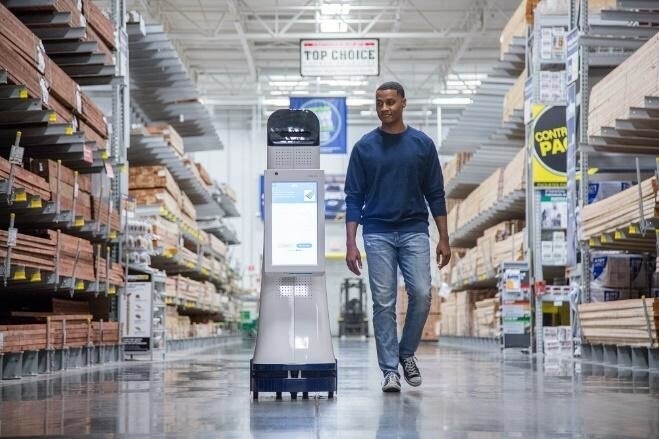 Hardware store chain Lowe’s has deployed AI robots called Lowebots for providing in-store assistance to customers. 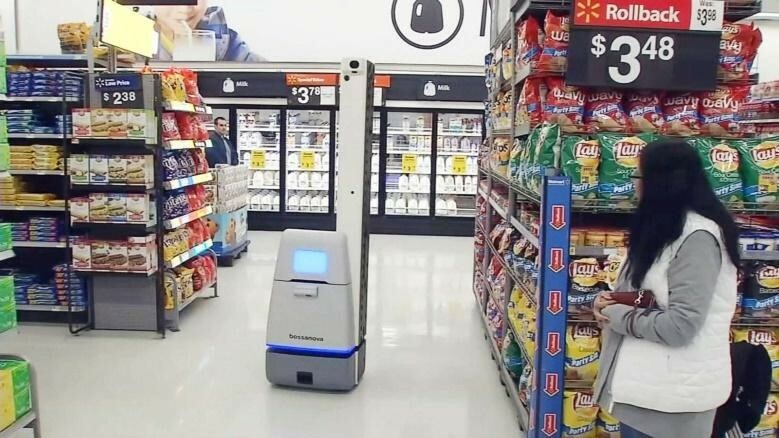 Shoppers can search for the item by either directly asking or typing on the screen of these robots and these bots will guide you to the item with the help of laser sensors. The robots can speak multiple languages and also show special offers on a second screen popped up while they guide the customers. The customers find these robots really helpful and engaging. The hardware shopping becomes interesting and ultimately helps Lowe’s in increasing their sales. 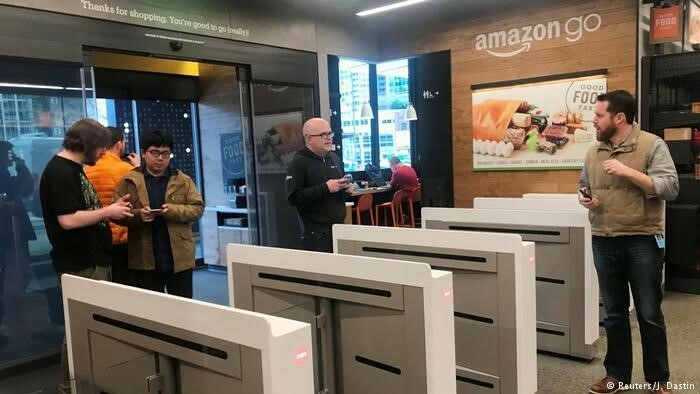 Amazon Go stores are synonymous with AI supermarkets. They have a very unique “just walk out” shopping technology. Shoppers can literally pick up what they need and walk out of the store without waiting in the long queues of traditional cash register. This is possible with the help of the Amazon Go app and advanced sensor machines in the stores. The customer is later charged from their Amazon account or other virtual payment services, and the receipt is sent to the e-mail account of the customer. Remember that argument may have had with your partner just because you misunderstood the tone of his sarcastic joke in a text message? These misunderstandings can happen in business too, especially when you are texting with a chatbot and it is not able to understand your frustration or excitement, only by your words. Shop Direct with IBM is working on an AI-driven chatbot which will not only understand the mood of the customer but also guide her to a human representative for help if she is too disappointed or frustrated. This will be based on the analysis of words and tone used by the customer. Gone are the days when retail stores used long customer feedback forms to measure customer satisfaction. Walmart believes in “it shows on the face” whether a customer is happy or frustrated when she is leaving the store. 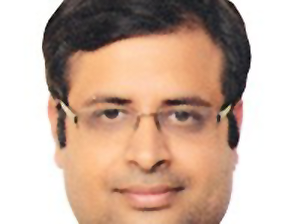 Hence, Walmart has come up with facial expression recognition and advanced scanning cameras in their stores which gauge the customer satisfaction and if the customer is too annoyed with the experience, the store associates actually go and talk to her to resolve the issue. All these examples of Artificial Intelligence applications in the retail industry really show that artificial intelligence is spreading its wings all around the world, including developing countries like China and India. Also, these examples may make a very strong case for the implementation of machine learning and artificial intelligence in retail business, but ironically, retailers should keep one thing in mind, “you don’t buy, if you don’t need”. This holds true for the incorporation of AI in business also. AI development services will come up with newer and better technologies every day but without correctly estimating the needs and suitability one should not invest one’s hard earned money in AI systems. You can take advice from various Artificial Intelligence and Machine Learning consulting companies and then take a decision.